Ever dreamt of experiencing the real Australia – cooking over a campfire, sleeping out under the stars in a swag with no-one for miles around except your friends, family or colleagues? With a Private Tour you can do exactly that but without all the logistical hassles and equipment needed that come with self drive. Ideal for adventurous families and small groups. We can run a private charter exactly as we run our regular trips or we can alter it, options include different accommodation, different itineraries, adding flights, adding overnight or extended hikes, focussing on a special interest like bird watching, aboriginal art, meditation etc. Kimberley Adventure: July 2016 from Ivan Power on Vimeo. Thanks Ivan P & family for sharing this great video of your private charter that you did with us in 2016. The itinerary on a private tour is customised for each tour. 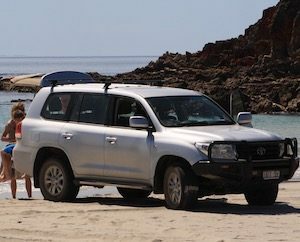 Some groups want us to run our normal 9 day itinerary between Broome and Darwin (or reverse) but just be in the nicer vehicle and a private group, if this is you then you can have a look at the itinerary for either of these tours to see a sample. 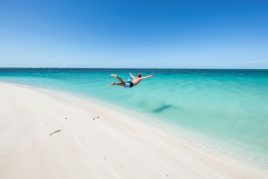 9 Day Broome to Darwin Tour or 9 Day Darwin to Broome Tour. Increasing the length of the tour to allow for a slower pace. Adjusting for families with younger children, for example doing shorter walks and more time playing in the water. Focussing on a specialist activity, like bird watching, indigenous art, meditation, overnight hikes etc. We can do anything, but most of our private tours leave from Broome, Kununurra and Darwin. Each private charter tour is quoted separately, when quoting for you we work on a daily rate for the whole vehicle, so normally, the more people you have the cheaper the tour gets per person. If you are interested in doing a private charter, get in contact and we can provide you with a quote. 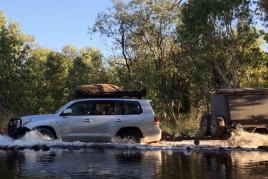 For families and small groups seeking a little comfort we utilise the Turbo Charged Toyota Land Cruiser GXL which is Toyota’s luxury 4WD. 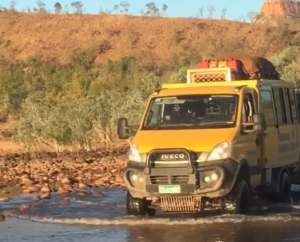 The Adventure Truck is a custom built vehicle designed to tackle to rugged Kimberley whilst still providing a level of comfort. Our small group policy and commitment to access out of the way places down bush tracks means that we won’t run the large overland trucks. It carries a maximum of 13 passengers, is air conditioned and has multiple charging points. It was also important to us that it had huge opening windows so we can excite all the senses and be part of the wilderness, not just look at at from behind a vacuum sealed refrigerator on wheels. The following reviews relate to PRIVATE TOURS. 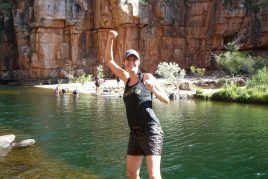 For more reviews please visit our Kimberley Tour Review page. We – a family with 2 kids aged 5 and 7, have spent 6 days/5 nights on a private charter tour with Tim from Broome to Kununurra. The tour was above and beyond all of our expectations! An absolute highlight of our Australia trip! Tim was the best guide we could have had! He tailord the trip to all our needs-and he was totally flexibel with any adaptions we enquired. He is very knowledgeable about the area, wildlife and all other topics on Australia and he is an excellent cook! The food cooked over the fire, sleeping in tents in the different bush camps, the walks to the gorges and a lot of other things was for all four of us a unique and unforgettable experience. 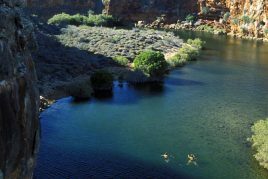 If you think about going to the Kimberley, definitely go with Kimberley Adventure Tours! Thank you very much Tim for this! We will come back! If you’re traveling in Australia and want to spend time in the outback, this is a great way to do it. 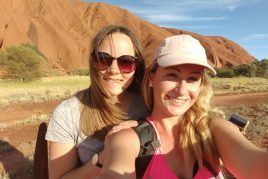 I’ve been on outback tours in the past (Red Centre and Northern Territory), and this was by far the best experience. 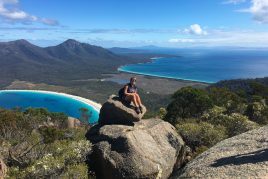 Traveling with Kimberly adventure Tours was the highlight of our stay in Australia. We considered several tour companies, but Tim (owner) was the most helpful in coordinating a tour that would work for us. Ultimately, we decided on a private charter since we had two families traveling with kids (4 adults and 4 children). We couldn’t believe what a great job they did in catering to our needs – everything from the itinerary to the snacks and meals were planned with our kids in mind. Our guide, Shane, was exceptional and clearly loves what he does. He was not only knowledgeable about the areas we visited (knows a lot about the aboriginal culture), but he could take us places and show us things that may be omitted with some of the other tour companies. This is partly because the 4WD truck and gear they have makes it possible to get off the beaten path. In fact, at one point we had to stop to pull another vehicle out of a heavily rutted dirt road. 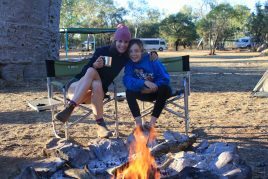 Overall, the experience of camping in the bush – especially sleeping under the stars in swags by the fire, was an experience my family will never forget. 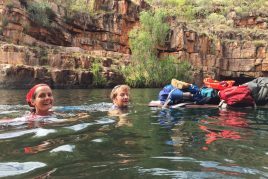 Note from Kimberley Adventure Tours: Whilst we specialise in the Kimberley region, we can run great trips anywhere, especially outside of our normal April – October season. Get in contact if this is of interest. 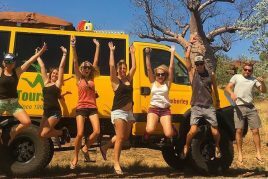 Our family (two adults, four children aged five through eleven) just finished a tour from Darwin to Broome with Kimberley Adventure Tours. We hoped for the trip of a lifetime, we were not disappointed. 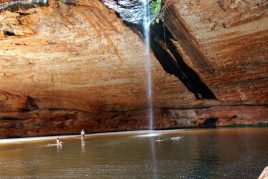 The Kimberley is spectacular, a world-class destination right here in Australia, and still deserted compared to destinations of similar quality. Our guide (Tim) was knowledgeable, sensible and respectful, and great company. He knew the Kimberley and how to make all aspects of the trip (camping, sightseeing, gorge hopping and waterfall jumping) as rewarding and enjoyable as possible. It seemed we had privileged access to the Kimberley for ten days. We all loved sleeping in swags under the stars, and our kids slept like logs, testament to how active they were and their involvement (our choice) in setting up, packing up and washing up. And my wife and I were pleasantly surprised at the quality of food that Tim prepared when we were (quite literally) in the middle of nowhere. To be clear, this is not “glamping”, but a well-organised, properly-resourced adventure, run by someone who really knows what they are doing. It was a truly special experience we will never forget. I can’t recommend KAT highly enough, delighted to answer questions of people who are contemplating this trip with small children. Do it. We did a private charter with Kimberley Adventure Tours and Tim was our host. To put it in one word, it was fantastic! Tim tailored to tour fully to our needs and was absolutely flexible to meet any request we had. Swims in beautiful gorges, exciting night excursions, magnificent evenings by the fire, amazing food. We would love to come back, anytime. Unable to make the dates of a scheduled departure we booked a charter with Kimberley Adventure Tour. So it was by serendipity we found ourselves on a trip that combined a true wilderness experience with all the comforts of home. 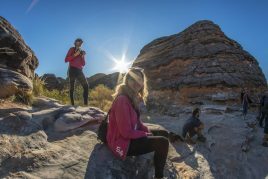 The Kimberley has a an embarrassment of riches with extraordinary scenery and geology and each day brought another spectacular sight such that we ran out of superlatives. The itinerary is well planned to allow visits to all the major features with manageable driving distances between and opportunities for swims in cooling pools and creeks during the heat of the day. The real difference between KAT and the other operators is the small group ethos and wild camping which means this really feels like the wilderness adventure we all seek. As others have noted there is nothing comparable to sleeping in the open, under the stars with the crackling of the fire. The tour for us was made by GT, our guide, driver and all round top man. He is hugely knowledgeable in all aspects of The Kimberley and WA, he maintains immense enthusiasm for an area he obviously loves, knows all the secret paths and places to ensure we were often the only ones in a stupendous gorge, cooks restaurant quality food on an open fire and caters for every need eg bringing out fruit, chip and dips and jelly sweets from his backpack after a long hike. The Landcruiser is comfortable, spacious and fully air conditioned, the swags have mattresses duvets and pillows and the camp chairs are like an armchair. Participation is encouraged in wood gathering, preparation of vegetables and washing up but this all helps team cohesion. Take tops that cover your shoulders and a hat for sun protection and wear good shoes- trainers worked well. I cannot see how this tour could be bettered and would recommend it to anyone.